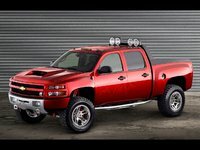 CarGurus has 35,822 nationwide Silverado 2500HD listings starting at $2,250. The 2007 Chevrolet Silverado 2500HD was named the MotorTrend Truck of the Year for 2007. And according to press panelists at the 2007 North American International Auto Show held in Detroit, it also was the North American Truck of the Year. Those awards and accolades were no doubt due to the fact that the 2007 2500HD was all-new, all-improved, and ready to kick up some dust, according to the folks at Chevy. The 2007 Chevrolet Silverado 2500HD is a heavy-duty three-quarter-ton pickup truck with a broad-shouldered design heavy on the muscle. It is available with a choice of regular, extended, or crew cabs, as well as standard and long cargo beds. It also is available in either two-wheel-drive or four-wheel-drive models. The standard engine for the 2007 2500HD is a 6.0-liter Vortec V8 engine that produces 353 horsepower, while the standard transmission is a six-speed Hydra-Matic electronically controlled automatic transmission. A Tap Up/Tap Down driver shift control attached to the steering wheel enables the driver to manually shift up or down, depending on cargo and driving conditions. An optional powerplant is the 6.6-liter Duramax Diesel V8, which produces 365 horsepower and is compatible with B5 biodiesel fuel. Also optional is an Allison six-speed automatic transmission, which is the same make of transmission used in M1 Abrams tank. It also comes with the Tap Up/Tap Down driver shift control lever. Other features and options, available on various models, include six-way power-adjustable front seats, dual-zone automatic climate control, steering-wheel mounted audio controls, heated front seats, an AM/FM/CD audio system with an MP3 input jack, and an integrated trailer brake controller. 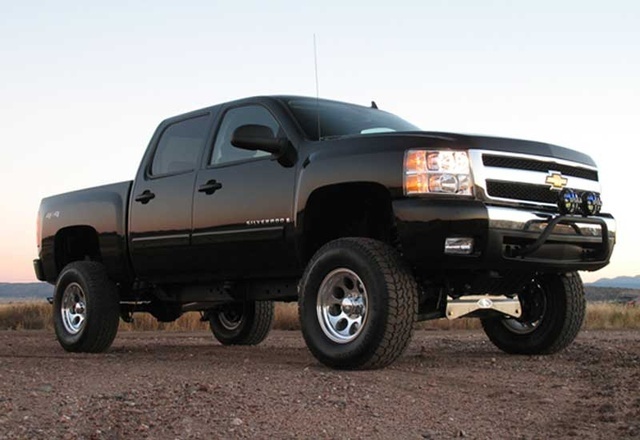 What's your take on the 2007 Chevrolet Silverado 2500HD? 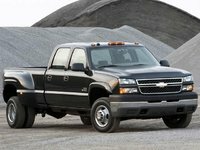 Users ranked 2007 Chevrolet Silverado 2500HD against other cars which they drove/owned. Each ranking was based on 9 categories. Here is the summary of top rankings. 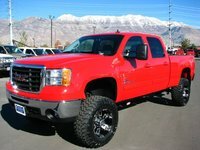 Have you driven a 2007 Chevrolet Silverado 2500HD? I got a random misfire need help figuring out what to do I've replaced the fuel injectors and the wires and plugs and still getting it. It started after I towed a trailer. Knowing that body lines might not match. Will a 2015 truck bed directly bolt onto my 2007 new body style truck. Or what year beds will directly bolt on.